If you are afraid of the soaring temperature that may let you down, come to the Pocono Mountains and beat the heat in a unique way. In addition to breath-taking views and luxurious places to stay in the Poconos, there are countless cool and adventurous things to do in the region. Dense forests, high mountains, beautiful waterfalls, and clear rivers are the most popular outdoor recreations to enjoy in the Pocono Mountains. On the other side, there are man-made attractions and water parks to feel cool even when the hot sun has decided to get you. Plus, there are many still-unspoiled areas waiting to be explored. 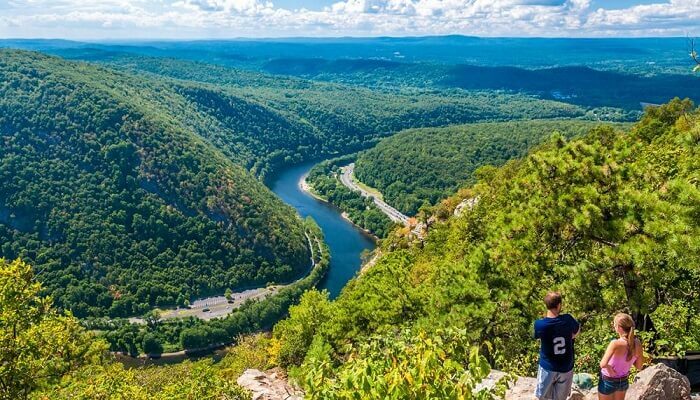 If you still have not made plans for summer 2018, then add in your this year’s bucket-list to spend some day in the Poconos for a splendid experience. And if you are going there anytime soon this summer season, make sure you enjoy the following five things to make it a memorable trip for life. Whether it’s about having quiet time being close to nature or enjoying adventurous activities, the Poconos has something for everyone. You can enjoy the area’s beautiful views for hours while sitting in one place. If you want to gratify the adventurous individual within you, there are outdoor activities like hiking and camping. The 2,400-square-mile area has many trails with lots of natural attractions and waterfalls to view. The Poconos is known for its clear water bodies. One such is the Delaware River where you can enjoy water activities like boating and kayaking. You can also spend hours fishing even if you are not an experienced fisherman. While fishing, you can enjoy beautiful views and calm atmosphere. For a relaxed experience, you can also try tubing the river. If you do not get a spa experience in the Poconos, your trip has missed one of the most amazing things in the region. So, don’t forget to book spa services in a luxury hotel in the Pocono Mountains. It will fill you with endless relaxation. If the Poconos is beautiful in the daylight, it shimmers in the dark. There are many nightclubs in the region where you can enjoy wine, live music, and various delicious cuisines. Many of these clubs are adult-only places. So if you are with your partner, you can have an extraordinary romantic time. The place also has restaurants where you can a romantic date with your partner. Visiting a water park in the Poconos is one of the coolest things you can do in the region this summer. These parks feature several fun water activities, including water slides, pools, and others. These water parks are fun places to visit even in winters. In addition, there are places to play and enjoy golf in the region. To make your Poconos trip more amazing, ensure you are staying in a luxury resort that comes with several modern in-room and in-resort amenities. Although such a resort may have costly services, Poconos resorts vacation villas offers can help you stay at a luxury resort without spending a huge amount.